People are suing about everything these days. I remember hearing about that direct marketing company Monat getting a class action lawsuit against them because their beauty products were making hair fall out instead of making it look nicer. Kind of a problem when your product does the opposite of what’s supposed to happen. But that’s just it; hair care products are one thing. You can just switch to another brand. But let me tell you to be careful. There are some things that, when you buy them, you can’t get rid of so easily. I recently got laid off, and being the sort of attention seeker who posts up everything, I let everyone on Facebook know about it. Most of the people who responded were well-wishers, a couple of people offered to get my foot in the door at their company, but most just ignored me. A few days after my post, though, I got a private message from an old high school friend I hadn’t seen in years. He said if I needed money quick, I should do direct market stuff for PanOptics. I’d heard about them before…a local security company who set up a couple of places in my neighborhood. They were relatively new, cashing in on the whole ‘wireless security’ craze, but I didn’t think there was anything else special about what they did. My friend said he had gotten his system put in a little while ago, and that he was really happy with it, and that the installer was looking for new people to help him take care of some of the demand. I asked how I could call, and he said not to worry, he had the guy’s number, he’d tell him to call me and get me a meeting. A few days later, I got the call, and the installer, Jimmy, said he’d be happy to come ask me some questions, demonstrate how everything worked, and if it all went well, he’d get me on the payroll by the end of the week. I said that would be great, when could he come by, he said in a few hours he’d be free, and that was that. Jimmy came to my door in the middle of the afternoon, and he seemed friendly enough. Big smile, strong handshake, sat down in my kitchen, talked about how being secure in your own home was a great thing. He brought out a big folder filled with pamphlets, all talking about the marvels of a wireless security system and the benefits it offered, plus the 24-hour security crew who would contact me if anything was detected. 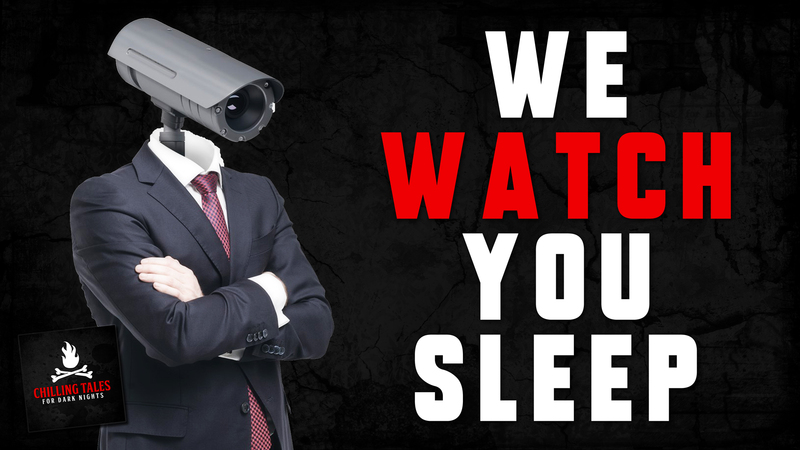 That was their motto, after all…“We Watch, You Sleep.” It all looked legitimate enough. With that out of the way, Jimmy started the interview. It wasn’t much of one…pretty much all he needed from me was if I had ever sold stuff before (I had), did I have a car (I did), and could I be counted on to up-sell the top line stuff to people (I was a little iffy, but I wasn’t going to turn down a job offer like this). He seemed very happy when I said I was ready to go, and then he showed me how to install the system for people. Folks, let me tell you…anybody could’ve installed this thing. It pretty much seemed like a racket to go around and charge people to do it, but when I heard how much the first paycheck would be…even before commission…I was hooked. Just call me Master Installer! Jimmy went to his van and brought in a bunch of boxes of full systems, a lead list, his business card, and told me to get cracking. Well, he did say it nicer than that, but that was the gist. To test it out before I went and did a bunch of other houses, I pulled out one box and set up a system in my own house. I’d never been too concerned with security, but I will admit it was a snazzy looking set up…it had a kind of retro-80’s feel to it, but the 80’s was still kind of cool to remember anyway, so maybe it would make some of my friends jealous. Now that I knew what I was doing, I called a couple of places on his lead list (where he got it, I didn’t know, but that was his own business) and found a few that would I bite. I went in, gave a sales pitch, and bingo, in went the system. It was remarkably easy, and when it was done, a lot of people were really happy with the way it looked and worked. I got four systems done before I began to notice something was a little…odd. First, I called Jimmy’s phone number, but I could never get through…it was always a busy signal. Nobody ever has a busy signal anymore, but I tried writing to his email, wondering when I would be getting paid. I did get a response there, saying he’d be sending me a note shortly, but he didn’t go into any more detail than that. I got a call a few nights later…and by night, I mean I was woken up at three in the morning. I recognized the number…it was one of the people I had installed for, a guy named Stan who lived alone except for his fairly extensive comic collection. I asked him what he wanted. I tell you, I’ll never forget that conversation. The help desk wouldn’t answer? That was…odd. Or terrible customer service. And then it was what he said next that made me truly scared. That was the last I heard from Stan…or, at least, the last conversation I had ever heard. As he said that last sentence, there was a terrifying screech, almost a roar, and I heard Stan screaming. The screaming turned into gurgles, then wet, horrible noises, then silence. Then, something breathed heavily into the phone, and it hung up. I didn’t sleep at all the rest of the night. I don’t know why, but despite my new security system, I didn’t feel safe. I called the police, who did respond, to my relief, and I told them everything I could about Stan. I sat in the kitchen, drinking coffee, until they called back. I didn’t get all the details, but I heard enough…from the sound of it, Stan had been attacked by a wild animal. That was their best guess, anyway, as there was a lot of blood and not much of him left to tell exactly what happened. A wild animal. That was all well and good, except…somebody hung up that phone. I called Jimmy. No answer, as usual. I then called PanOptics directly and asked if they had a special number where I could reach Jimmy. And that was when I got the worst news of all. PanOptics had no idea who Jimmy was. They didn’t have installers…they were a do-it-yourself company, and did all of their business by internet mail order. If there was no Jimmy…then who the hell did I bring into my home? I went back to Facebook and messaged my friend who had sent Jimmy to me in the first place. I wanted to warn him that Jimmy was a fraud, that he wasn’t a real installer. But I got no response. Nothing. I feared the worst. He didn’t live far from me, an apartment building a few cities over, so I drove out there. It was getting on toward night when I got there, and I knocked. No answer. I went to the apartment office and to get the super, who complained a little about the commotion, but admitted he hadn’t seen much of my friend lately. He opened the door, and the stench that came at us was enough to make it clear something was not well in there. The super went to call the cops, but even from the door I could see enough. From the hall, I had a pretty good view into the living room. A couch sat in front of a TV, which was switched on and playing prime time shows, and from that light I could see a hand on the floor. Just a hand, nothing else. The only other thing I noticed in the room was the faint glow of a PanOptics central security tower. The rest of the system appeared to have been smashed into pieces. I stuck around until the cops arrived, though it wasn’t until a few days later I got the whole story. What was left of him had been determined to have been dead for at least three weeks. It sounded a lot like the way Stan had been killed: vicious, nasty mutilation, possibly by a wild animal. But it was the three weeks that got me. That meant the private message I had received had come after his death. Since then, I’ve learned a little more about Jimmy, or whatever his real name is. Other people have seen him, recruiting them to help them install security systems, using the names of other local companies. He’s been all over the country…at least, that’s what I hope. Internet chat rooms keep asking questions about him, and pictures they post show the guy who definitely came into my house. But things don’t add up…if what everyone says can be believed, he has been in two states simultaneously, recruiting people in the same day while magically moving around the country. It’s either that, or he has a bunch of twin brothers. I don’t know which would be worse. So, if someone you know tries to tell you to do installation work for a security company, be sure to call the company first. If a guy shows up with a friendly smile and a strong handshake, don’t just say yes. I don’t know how I can prove anything I’ve said to anybody. The only thing I can say is that I am writing this from a library computer. I can’t do it from home. In fact, there’s a lot I can’t do there. My phone stopped working properly. Anytime I try to call anyone and talk to them about my concerns, my phone sends me to a busy signal. Even when I’m not at home. My computer’s internet sometimes won’t go to certain sites. I don’t dare stay at a friend’s house. I don’t know if anything will happen to them. All I know is, IT will know. I don’t know what IT is. I never see it, but I can sense its presence. I go to sleep, and in the middle of the night I sometimes wake up, and know it’s there. I know it came with that security system. I cannot get rid of it. I cannot talk about it at home. Or else it will do to me what it did to Stan and my old friend. And I’ve brought it, or things just like it, into the homes of three other people.